Obituary for Vee Dee Brimingham | Delancey-Murphy Funeral Homes, Inc.
Vee Brimingham, 71, of Topeka, KS was surrounded by family as he peacefully passed away on the evening of January 18th, 2019. He was born on July 14th, 1947 in Booneville, MS.
Vee was a loving servant of God and a wonderful father to his two daughters. 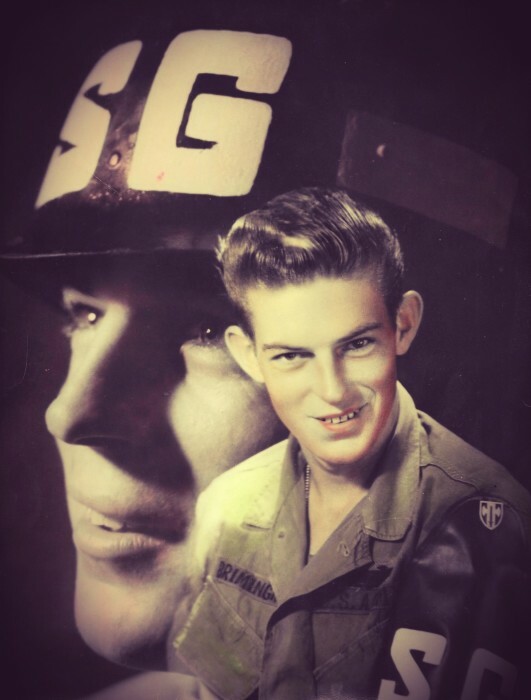 He served in the US Army during the Vietnam War, and after being wounded in battle, he was honorably discharged and awarded the Purple Heart Medal. Vee was a great golfer. Just about every weekend, rain or shine, you would find him out on the course hitting a round with his good friends. He loved to laugh and enjoyed making others laugh as well. You can easily see that in his smile with any family photo you come across. Vee loved being around his family very much and always looked forward to the yearly reunions. Being born the youngest of 16 children also meant being the loudest, and Vee lived out loud! He is preceded in death by his parents: Ruben and Eva Brimingham and his siblings: Esco, Cleston, Flora, Grace, Lee Edward, Pearline, Floyd, Louise, Silvie, Johnny, Alice Inez, Oneeda, and Ezra. He is survived by his two daughters: Tara Brimingham Gourley (Josh) of Omaha, NE and Traci Brimingham Meyer of Morro Bay, CA; two siblings, Troy Brimingham of Covington, GA and Sophie Ballard (Larry) of Marked Tree, AR; three grandchildren, many nieces, nephews and numerous other family members and friends. Funeral services will be held Saturday, February 23, 2019 at 2 pm at Delancey-Murphy Funeral Home, Lepanto, Arkansas. Visitation is from 1:00 pm until service time. Interment will follow at Potter Memorial Cemetery.